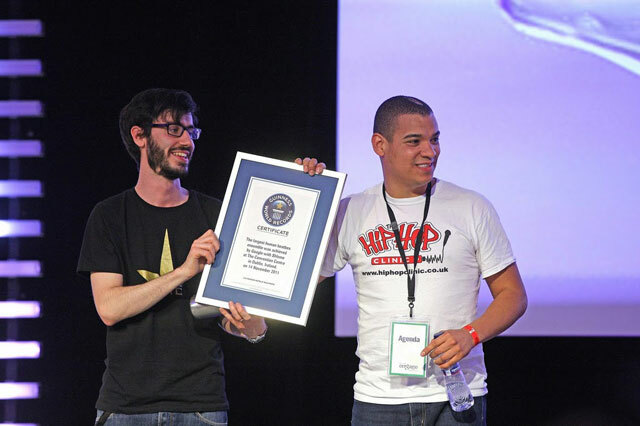 Jason Mayes from Google posted that Google won the Guinness World Records last month for the largest human beatbox ensemble. 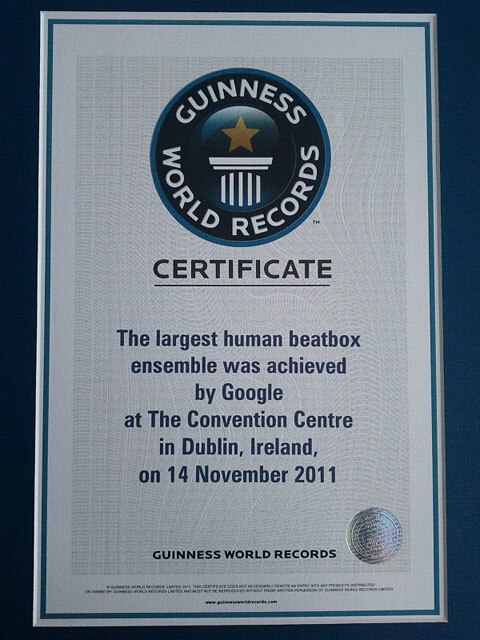 It was on November 14, 2011 at the Convention Center in Dublin, Ireland. Congrats to all the Googlers involved. Here is a larger picture of the certificate.